Here is my favorite picture in the world. 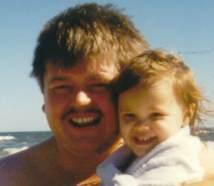 It is of me and my daughter in 1994 at Virginia Beach. I just love Desiree’s smile.